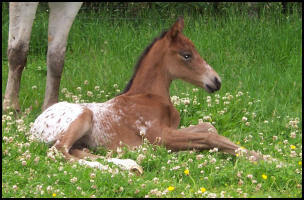 This year we have two foals due which we are really looking forward to. Please follow the highlighted links to find out more about each stallion or mare. 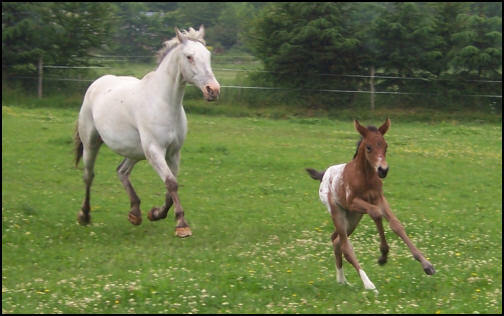 Again we would like to thank the Low-Mitchells of Balcormo Stud and Ingliston House Stud for their help in getting our mares in foal. Surprice, Holly and Laura are no longer in foal which although very disappointing was not so surprising for the latter two as they are elderly ladies now. 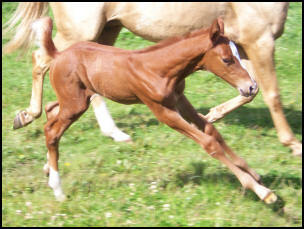 Please contact us if you are interested in any of the foals. 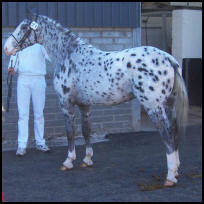 Vixen KNN 1608 graded 16.2hh whiteborn Knabstrupper mare is in foal again to the premium 16.3hh graded stallion De Niro. 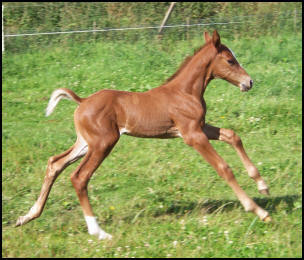 We were so pleased with last year's foal Vogue that we had to repeat the breeding. De Niro needs little introduction being one of Oldenburg's most successful breeding stallions. His sire Donnerhall arguably has had a greater lasting influence on contemporary German dressage and the breeding of dressage horses than any stallion previously. 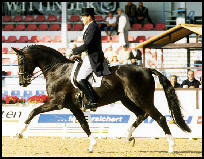 De Niro's dam Alicante, herself a successful dressage horse, also produced the approved stallion Dimension. Her sire Akzent II was regarded as one of the best producers of rideability in modern day horse breeding and frequently made news with sensational stallion sons and expensive auction horses. 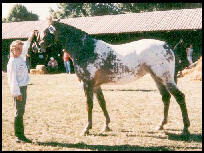 De Niro was reserve champion in the 1996 Stallion test scoring 9 for all three paces and 9.67 for rideability. Brightwells Best British Dressage Foal 2005 the Reserve place went to the filly Diamonique, by De Niro, who later gained the top price of £7,000 in the evening auction. 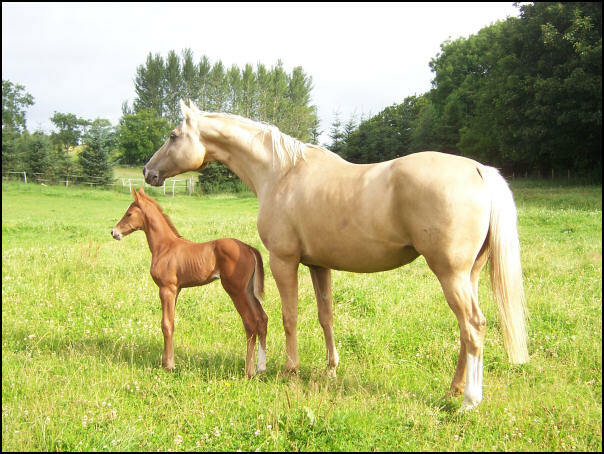 At the British Dressage Young Horse and Breeding Championships 2005 the champion was a yearling filly Dafila, also by De Niro, who beat off competition from older rivals. At the Klosterhof Medingen foal auction 2005 Delegate by De Niro sold for 99,000 Euros. Vixen does it again! Another stunning filly! 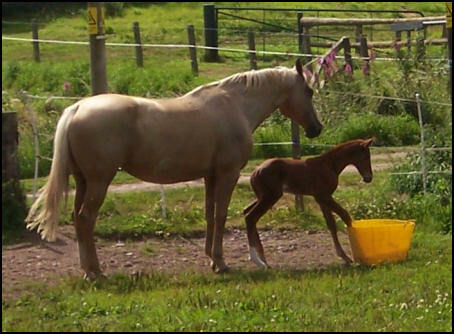 Vixen foaled at 11.55pm on 18th June. 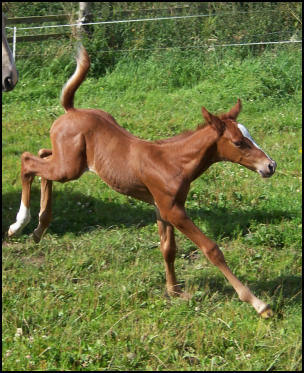 She has had an absolutely exquisit long legged filly, full of quality and presence. Vice Versa was awarded a nine overall out of a possible ten at the KNN Knabstrupper grading. 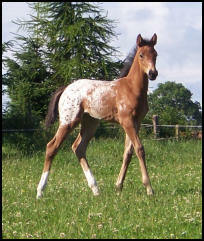 Arleta 171cm Fully papered Czech Warmblood and Kinsky mare in foal to Knabstrupper stallion Pinocchio Middelsom. 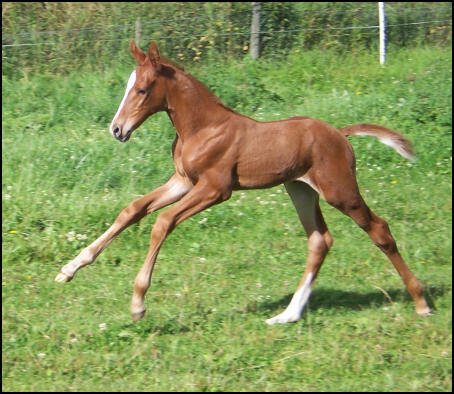 Arleta is a beautiful, elegant mare with good conformation and excellent paces. The broodmare page will be updated shortly with her details. 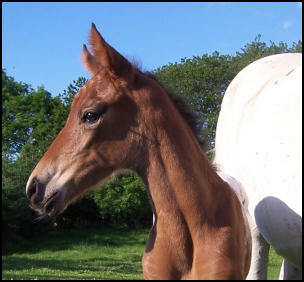 We are very excited about this foal as Arleta compliments Pinocchio very well. 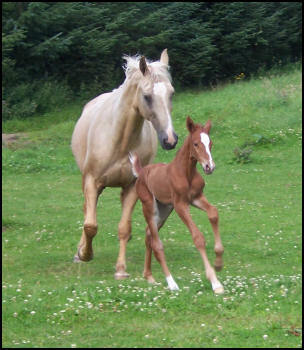 Arleta foaled in the early hours of 1st August. 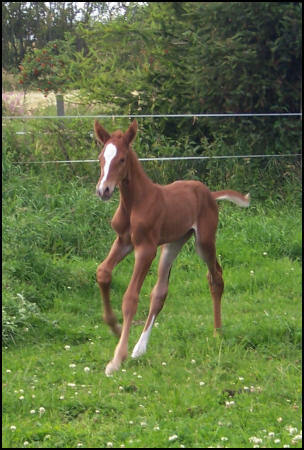 She has had a gorgeous, leggy chestnut filly. 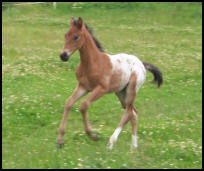 She is a very pretty and refined foal with a bold and inquisitive temperament. We are absolutely delighted with her, she is a cracker! For sale to a good competition home. Photos updated 5th August. Phoenix was awarded a First Premium at the Scottish Sporthorse Grading by the Dutch and Swedish judges. They commented she was "a very good mover with a lot of elasticity"